Beethoven's Missa Solemnis has always had a reputation for being monumental and impossibly difficult to perform - especially for the chorus. The difficulty stems in part from the fact that the work dates from late in Beethoven's life, by which time he was completely deaf and almost totally oblivious to the natural limits of the human voice. The great 'et vitam venturi' fugue in the "Credo" is a killer for sopranos and is rarely done well, particularly in "live" performance. A recording of the piece that I have always treasured - one which still stands as an incomparable achievement - was done by Toscanini with the NBC Symphony and a chorus trained by Robert Shaw. I once had the opportunity to ask Shaw how he had prepared his sopranos for the challenges of the 'et vitam venturi'; with typical modesty he responded that what one hears on the recording is pretty much an illusion, with the singers letting the orchestra do much of the heavy lifting. In Rome this week, Maestro Antonio Pappano (photo: right) tackled the Missa Solemnis with the chorus and orchestra of the Accademia Nazionale di Santa Cecilia and there was nothing illusory about his achievement. The chorus, prepared by the legendary Viennese choirmaster Norbert Balatsch, was magnificently fearless. The acoustics of the Sala Santa Cecilia in the Auditorium Parco della Musica are somewhat problematic, but the volume and accuracy of the 80-member chorus was remarkable by any standard. While Maestro Pappano has been building a solid reputation as chief conductor at the Royal Opera House, Covent Garden, he is also much-admired in Italy for his work with the country's leading orchestra. Several weeks ago, EMI released a live recording of the Verdi Requiem by Pappano and the Santa Cecilia orchestra and chorus. It has received rave reviews. Beethoven's Missa Solemnis is a very different kind of challenge. That too, Pappano met with distinction. Obviously familiar with all the trouble spots in this work, he took the time to sort them out in rehearsal; this performance was meticulously prepared. Was it Pappano who encouraged the use of natural (i.e. no valves) trumpets here for a more authentic sound? His trumpeters appeared to have no problem at all with these demanding instruments, and the pure but penetrating sound was impressive. He might also have encouraged his timpanist to use harder sticks more often in this piece, and play a more prominent role. Throughout the performance I had the impression the orchestra could have played much louder without coming close to covering the chorus, especially in the climaxes at the end of the "Gloria" and the "Credo". This is where the acoustic deficiencies of the Sala Santa Cecilia come into play. I was sitting about half way back on the ground floor - surely a pretty good location - but the basses in the orchestra scarcely registered at all and the other string sections, for the most part, didn't fare much better. Concertmaster Carlo Maria Parazzoli was reasonably prominent in his extended solo in the Benedictus - he played beautifully - but the strings generally lacked warmth and presence. This is a fairly common failing in most modern concert halls and in this respect the Sala Santa Cecilia is typical. 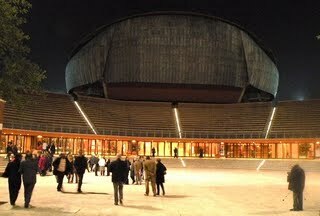 It may be that at 2,800 seats, the hall is simply too big. I had anticipated better acoustics when I settled into my seat at the start of the concert and marveled at the fine wooden surfaces evident everywhere, including the ceiling. Soloists for this performance were soprano Emma Bell, contralto Anna Larsson, tenor Roberto Sacca, and bass Georg Zeppenfeld. Bell's sound seemed unfocussed. Zeppenfeld could hardly be heard at all, except for his solo at the beginning of the "Agnus Dei". The excellent programme notes revealed that Beethoven's "Missa Solemnis" had its first performance in Italy in 1924, with the Santa Cecilia orchestra conducted by Bernardino Molinari. Since then, this orchestra has made the piece part of its basic repertoire, presenting it on no fewer than eighteen occasions under conductors such as Victor de Sabata, Eugen Jochum, Carlo Maria Giulini, Giuseppe Sinopoli and Wolfgang Sawallisch. Norbert Balatsch has been the chorus master for every performance - five of them - given over the past twenty-five years. On the whole, Pappano's performance of the Missa Solemnis was impressive. The choral work was outstanding and the discipline of his reading was altogether admirable. Tempi were well-considered and when they were a little quicker than usual, control was never in doubt. In the darker moments of the work, however, I felt that Pappano's discipline seemed more than a little unyielding. This was especially true in the "Agnus Dei". This final movement of the Missa Solemnis has disappointed many a listener over the years. It is often felt to be abrupt and unsatisfying. This, surely, is a place where the conductor must pay less attention to what the score says or doesn't say, and must enter into the spirit of the composer's vision. Beethoven's 'dona nobis pacem' (give us peace) comes from the depths of the composer's soul and needs to be performed accordingly - with phrasing a little more expansive and emotional in the final bars. Pappano's reading was true to the letter of the score but missed the meaning of it all. These disappointing final bars notwithstanding, one left the Sala Santa Cecilia grateful for having heard a superbly prepared Missa Solemnis in which Beethoven's fearsome technical challenges were met with fine musicianship. 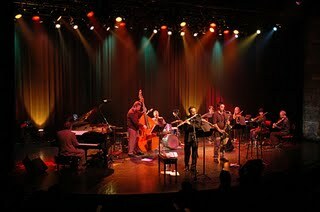 It was good to be Venezuelan at the Four Seasons Centre for the Performing Arts last night. If you weren't, you certainly secretly wished you were. Just look at Toronto Mayor David Miller. He went off script on stage flaunting about marrying a Venezuelan and was cheered and applauded for it. The fuss? The Simón Bolívar Youth Orchestra of Venezuela. Led by 28-year-old dynamo Gustavo Dudamel, the 250-strong ensemble made their Canadian debut during the Glenn Gould Prize Gala, where Dr. José Antonio Abreu — the Venezuelan economist and amateur musician who made all this fuss possible in the first place — received the prestigious triennial prize. Abreu, who entered the stage to a standing ovation at the Four Seasons Centre, founded the State Foundation for the National System of Youth and Children’s Orchestras of Venezuela, commonly known as El Sistema, in 1975. The system involves some 250,000 students across Venezuela and has been credited with improving the lives of young people who might otherwise have been drawn into crime, gangs, and drug abuse. Instead of accepting the $50,000 award that comes with the Glenn Gould Prize, Abreu chose to turn it into musical instruments for his kids in Venezuela. The Glenn Gould Foundation then went to Yamaha, which turned the money into $150,000 worth of instruments. Abreu is receiving the instruments in Toronto today. With the Simón Bolívar as its flagship, El Sistema has become one of the finest examples of music education admired and studied around the world. And Dudamel, who has led the orchestra since 1999, was selected by Abreu as the recipient of the $15,000 City of Toronto Glenn Gould Protégé Prize. 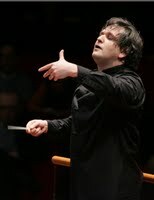 The young conductor recently began his much-hyped tenure as music director for the Los Angeles Philharmonic. Last night, before he and the orchestra even played one note, Dudamel was greeted zealously by Toronto's music and Latino communities, some brought with them large Venezuelan flags. The Simón Bolívar treated a near full house to a program of Latin-American works and Tchaickovsky's Symphony No. 4, Op. 36 in F minor. It was clear within the first couple minutes of their playing why this orchestra has won audiences of all kinds wherever they go. Whether it's the seductive Silvestre Revueltas' Sensemaya, the monstrous Tchaikovsky, or the saucy Mambo from Bernstein's West Side Story (one of two encores), the players — ages 12-26 — followed the lead of their maestro and were in synch with Dudamel's every signal, be it as minute as a jerk of a shoulder in the pizzicato movement of the Tchaikovsky. 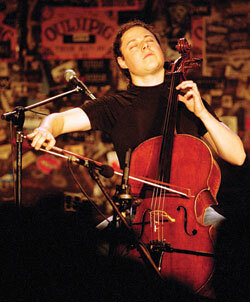 Every musician, regardless where they are seated, played their instrument as if hugging and dancing with it. The orchestra swayed musically in a sea of wave accented by their spotlighted white cuffs. 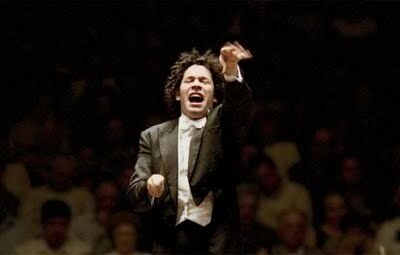 Dudamel, who conducted the entire program from memory, was an exciting wild thing to watch. A wrist toss here, a hand punch there — never did a conductor's back look so intriguing from the back of a hall. The audience erupted into a roaring standing ovation before the last note was finished. After two encores, they wanted more. The applause went on for about 10 minutes, with people shouting "bravo" and "encore" from Ring 4 and 5. The night ended with Dudamel hand-signing he's hungry and tired and the musicians waving their instruments good-bye on stage. The audience was left mumbling "bravo" all the more on their way out. The Eighth Glenn Gould Prize Laureate, Dr. José Antonio Abreu, has selected Venezuelan Conductor Gustavo Dudamel as winner of the prestigious The City of Toronto Glenn Gould Protégé Prize. Maestro Dudamel, a native of Barquisimeto, Venezuela will receive a cash award of $15,000 from the City of Toronto as he joins an illustrious group of exceptional young musicians who have received this triennial honour. Previous Protégé winners are Roman Patkoló (2005); Jean-Guihen Queyras (2002); Wu Man (1999); Tan Dun (1996), and Benny Green (1993). 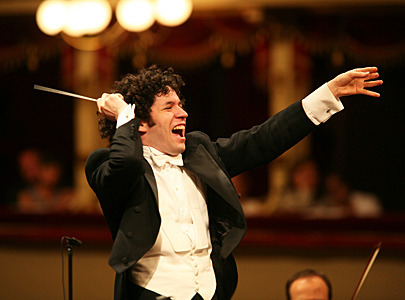 Hailed as one of the most exciting and compelling conductors of our time, the 28-year old Maestro Dudamel will begin his tenure as Music Director of the Los Angeles Philharmonic in fall 2009. Recently named one of TIME Magazine’s 100 most influential people of 2009, Maestro Dudamel continues as Music Director of the Gothenburg Symphony. Perhaps best known as Music Director of the Simón Bolívar Youth Orchestra of Venezuela, his infectious energy and exceptional artistry have made him one of the most sought-after conductors by orchestras around the world. This week also marks the opening of Opera Atelier's Iphigenie en Tauride, in a production premiered in 2003. A marvelous baroque gem, this Gluck masterpiece require great singing actors. 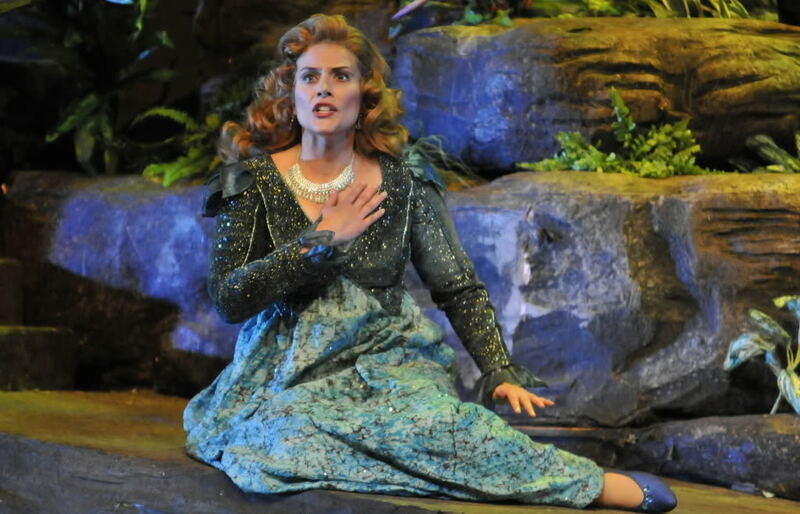 OA's audience favourite Peggy Kriha-Dye returns in the title role, and Croatian tenor Kresimir Spicer, who made a huge impression as Idomeneo two seasons ago, sings Orest. This is a must-see for opera lovers. The show opens on Saturday, Oct. 31 7:30 pm at the Elgin Theatre. Go to http://www.operaatelier.com/season/iphigenie.htm for a video clip of the production, introduced by co-artistic director Marshall Pynkoski. The COC continues with its long run of Madama Butterfly, with performances on Oct. 27, 29, and 31. Its production of Stravinsky's The Nightingale and Other Short Fables continues on Oct. 30. This show so wowed the critics and audiences that an extra performance was added on Monday, November 2. I am sure it is close to selling out, so if you want to experience opera at its most innovative, don't miss out! Music Toronto is presenting piano virtuoso Simon Trpceski on October 27, 8 pm at the Jane Mallett Theatre. Trpceski was here just three years ago, also under the auspices of Music Toronto. I attended that show and can say he is a truly scintillating performer. On the program this time is Haydn, Mozart, and Chopin. Also on the program is a piece new to me, by Shavov, called Songs and Whispers. Finally, to celebrate Halloween, North Toronto Institute of Music is presenting a "Monster Concert" at Massey Hall on October 31, at a rather strange time of 3 pm. According to the publicity material, "Monster Concerts" began in the 1830s by the composer Czerny to raise funds for flood victims of the Danube. The concerts featured a large number of grand pianos on stage (usually 10), with 2 players at each, and a conductor. This style of concert was later made popular in the United States by the pianist Gottschalk, and later Eugene List. This concert will feature a program of popular works by Gottschalk, Rossini, Liszt, Saint-Saens and Bizet, performed as solos, duets, and ensembles of 20 or 30 performers. It sounds like fun!